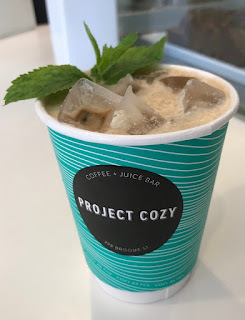 Did you know you can get a mojito coffee at Project Cozy in Soho? 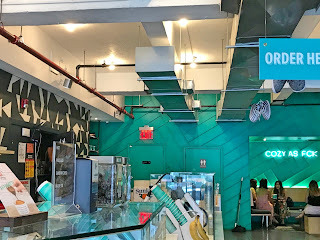 My LA friends all say this is very close to Philz coffee's flavor and...it's definitely as close as you'll get to Philz in New York City. 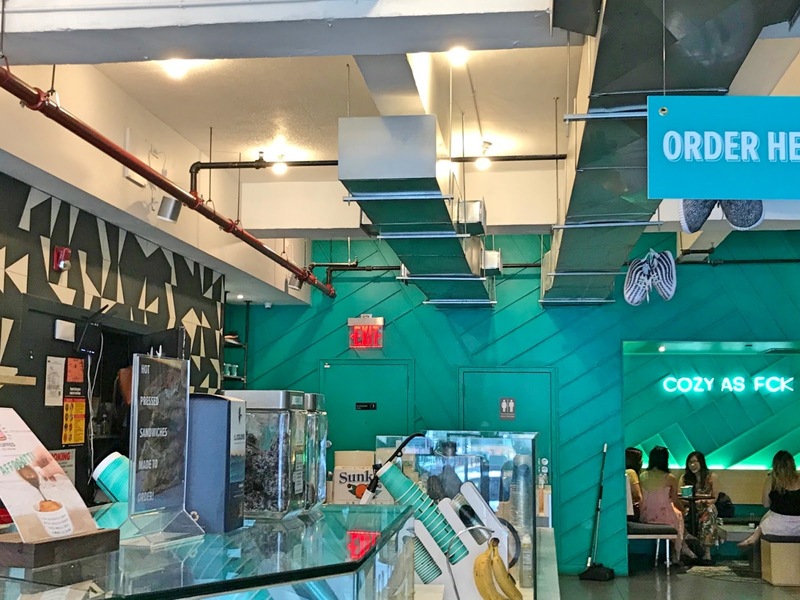 First off, Project Cozy has a very Instagrammable color scheme and interior. You can tell that was a major thought in the owners' minds when they opened. There aren't that many seats available, maybe about 25-30 seats total. I had too much coffee this day, so no Mojito Coffee for me. Luckily there are a bunch of other options, including fresh fruit juices. This day I got the Lychee Matcha Tea. Honestly, I probably wouldn't get this again. It just wasn't that flavorful it tasted quite watery. It was refreshing, but it just wasn't that satisfying flavor-wise. I got it with light ice, but there was definitely a ton of ice. Of course, my friend, a major fan of Philz, got the mojito coffee. 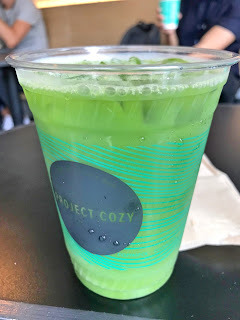 She still says the mojito coffee at Project Cozy is great and pretty close flavor-wise to Philz. I haven't tried the authentic stuff yet, so I can't comment on the authenticity. 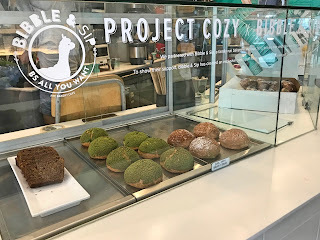 Next time I'm in DC, I'll check out Philz and then check out Project Cozy after I get back to New York so I can really experience life. Oh, one of the nicest things is that Project Cozy has a partnership with Bibble & Sip. As a result, you're able to get the famous Bibble & Sip creme puffs and other pastries. 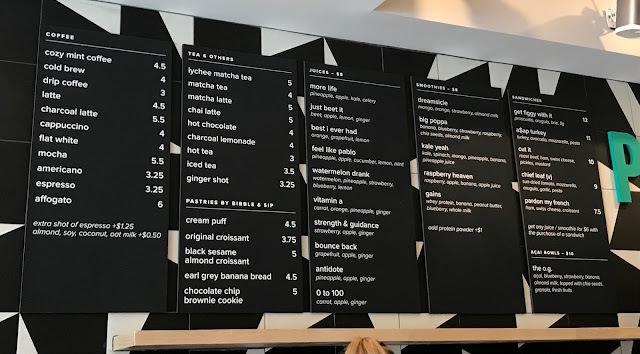 Definitely get the black sesame cream puff! It has been sold out the past 2 times I've gone to Bibble & Sip, so if you find it at Project Cozy, buy one! That would be so fun!! (Sorry, was having wifi problems at my house and then I was on the road, so I am only getting to reply now TT.TT) I'll definitely reach out when I am in the area next!